Oxygen is defending its reality special, All My Babies’ Mamas, which will focus on the life of rapper Shawty Lo as he juggles having 11 children by 10 different women. 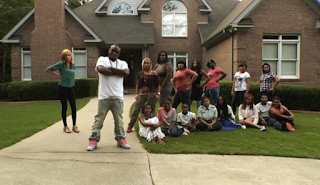 The 36-year-old rapper, who is probably best known for his fight with T.I., not only has 11 children by 10 different women, but several of those children are around the same age as his 19-year-old girlfriend. He was 15 when his first child was born, and he now has nine daughters and two sons. I am biting my tongue here so that I do not sound racist. Actually, this does not offend me any more than Jersey Shore, Dance Moms, Toddlers and Tiaras, Dr. Phil, Honey Boo Boo, Steve Wilkos, etc. 70% of ALL black children live with their single mothers. How on earth are stereotypes bad? "To me, ‘baby’s mama’ is a slur. It’s denying the humanity of a child’s existence. Every child deserves to come into the world loved by two parents, safe and wanted"